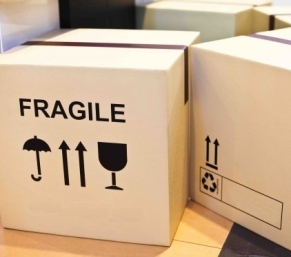 Can your current package navigate the e-commerce supply chain? Unlike being shipped to a distribution center as part of a tightly wrapped full pallet, your e-commerce package can sustain up to 30 touches along the way and end up bouncing around in the back of a truck. April 9, 2018 (Packaging World) - While a growing number of people order household products and groceries on-line and wait for Amazon (or another carrier) to deliver, the growth in packaging for e-commerce is still largely about shippers, void fill, and protective packaging. And much more jewelry, clothing and electronics are appearing on our doorsteps than groceries. At the recent conference, “Sustainability in Packaging U.S.,” materials suppliers, CPGs and even a handful of retailers attended a two-hour workshop on E-Commerce. Hosted by Smithers/Pira, and led by Tom Blanck, President of Packaging Solutions Group, participants were encouraged to speak up, and there was much lively conversation. CPGs looking at their primary packaging are still wondering exactly what they should do. In some cases, current packaging does not translate well into the e-commerce equation. Bigger sized products like two-liter bottles or bulk pet food may need to shrink portion and packaging a bit to afford the delivery costs. Bundling for efficient shipping might be necessary too. Sending one bottle of shampoo with a possibly “leaky” pump may not be worth it. But bundling three bottles of shampoo with tight, leak-proof closures and a reusable pump packed separately, may be a better solution. Brands using breakable glass may switch to plastic for e-commerce purposes. At the high end, special themed gift sets available only to Amazon Prime members, for instance, may start to show up at your door. And, ultimately, some product configurations (12-cans of soda is one example) just don't ship cost-effectively. Often, too big a package is being used for the size of the product. Void fill is used to fill empty space, definitely compromising the consumer experience. In a lot of these cases (already packaged memory card with blister on a board, for instance), Blanck suggests using a flat shipper and going through the U.S. Postal Service. All along the e-commerce supply chain, packages are tossed in bins or carts for sorting, paddles physically divert the package into the proper lane, then sortation tubes drop packages into carts again, with boxes routinely crashing into each other. The distribution center, where shipping full pallet loads is the norm, is no longer the destination. Now you have thousands of “last” mile deliveries with an estimated 30 touches through the supply chain that often ends with a single package bouncing around in the back of a truck. The package still has the prime directive of protecting the product. The final mile for e-commerce often means varied types of transportation, manual handling, and danger from weather and theft. » Can your current package navigate the e-commerce supply chain?